For artists who are just starting to gain some notoriety, the natural tendency is to compare them to more familiar names. Though categorizing music can provide a sense of order for listeners trying to establish their personal tastes, comparisons can also be tricky, particularly for artists with a strong sense of originality. One of the most recent examples of such an artist is Ashley Wilson. 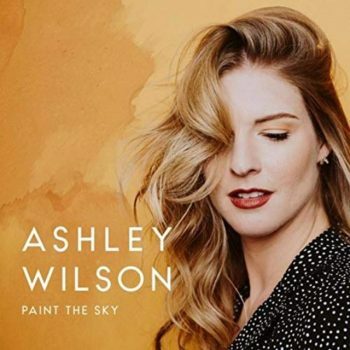 On hearing he debut album, Paint the Sky, many people would immediately compare her to Norah Jones, and many others would dismiss her on the basis of that comparison. Though I have no problem with Norah Jones (quite the contrary, actually), it would be a mistake to simply lump Wilson into the same category. Before Jones appeared in the music scene during the latter half of the ‘80s, there was another great jazzy singer-songwriter named Rosie Vela, who worked with Donald Fagen and Walter Becker of Steely Dan, one of her major influences. Wilson should be placed somewhere between Jones’ pop sensibility and Vela’s jazzier approach. Her soulful, lively vocals deserve special recognition, since they provide the tone that elevates Paint the Sky to excellence.